Anytime an individual introduces their car to a racing or drifting environment, the temperature of the vehicles engine will skyrocket. This temperature increase can be further amplified by aftermarket performance parts. 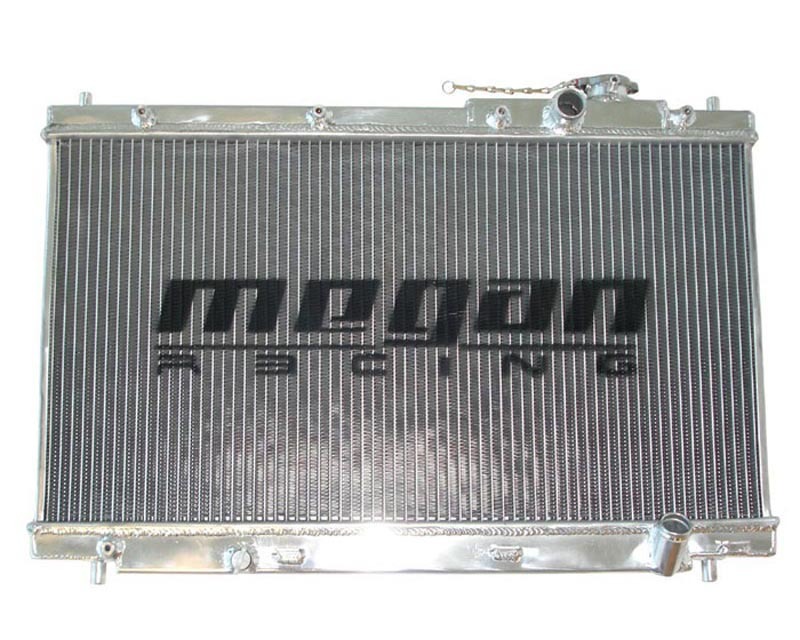 One common and effective method of reducing engine temperature is to employ an aluminum radiator. This is a cost effective upgrade which can ultimately save an engine during competition or spirited driving. Megan racing��_s aluminum radiators are not only lighter than the stock unit but they increase surface area which allows heat to dissipate more quickly. A cooler engine reduces the stress on critical engine components thus improving reliability. Keeping an engine in its intended temperature range also ensures performance won��_t be sacrificed. Often times a temperature drop of twenty degrees or more will be noticed when using an aluminum radiator. Includes 16 PSI radiator cap.